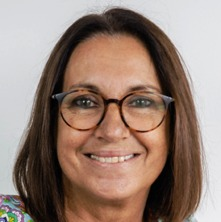 Susan Beetson is a Research Academic within the School of Information Technology and Electrical Engineering (ITEE) at The University of Queensland and member of the Co-Innovation research group within ITEE. Her research focuses on First peoples' co-design methods in human computer interaction; specifically in relation to mobile and ubiquitous technologies and in social robotics within social, community and language learning contexts. In 2009 Susan received her B.InfoTech (Hons) (Data Communications) and was awarded 1st Class. Susan's PhD research used kinship systems to extend networking theory as a basis for the design of culturally effective technology systems. Susan's research brings First peoples' Knowledge perspectives to inform and enhance western designed systems. As Wiradjuri and Ngemba and grown up on Country her lived experiences of social, institutional and political dimensions that impact First peoples' lives in Australia enables Susan to critically analyse and reflect broadly and reflexively throughout her research. Susan is also an Academic Editor for Information Systems Journal (ISJ). Current research projects include collaborations with First peoples of Australia to: • co-design and co-build culturally relevant aspects of social language robots; • co-consider with peoples living with and alongside dementia, what aspects of everyday lived experiences may be impacted by technology interventions; • explore the AS-IS language documentation process, analyse friction points and model a TO-BE workflow; and • co-design and co-build a mobile app that facilitates community digital entrepreneurship in collaboration with academics in the Faculty of Engineering and Technology at the University of Technology Sydney. How we, as humans, interact with technologies and collaborate within co-design environments that embrace the diversity of our distinct every day lived realities. I am interested in the ways in which First peoples' knowledge systems, specifically the cultural and immersive context of learning language, inform social robots. This includes the multi-modalities of communication. The pervasive and ubiquitous nature of mobile technologies has changed the way we do data and provides opportunities to think about Cultural capital and repatriation of knowledges. New and exiting commmunity initiatives enhanced through kinship ties, whether colocated or relocated. Susan's research directly extends current technology design and development by centering First peoples voices and perspectives in the co-design and co-development process. Her research has practical, tangible and relevant benefits according to the peoples and communities she works with. At the core of Susan's research is reciprocity, which facilitates true technology transfer and ensures two way symmetric exchange of expertise and knowledges shared. Pradhan, Sojen, Beetson, Susan and Kutay, Cat (2018). Building Digital Entrepreneurial Platform through Local Community Activity and Digital Skills in Aboriginal Australia. In: ACIS2018, Sydney, Australia, (). 3-5 December 2018. Beetson, Susan, Tyhuis, Annie, Willsteed, Susan, McLaughlin, Juliana and Whatman, Sue (2007). ITAS in a virtual environment – quality and efficacy in Indigenous tertiary student support. In: Indigenous Studies and Indigenous Knowledge ISIK Conference, Sydney NSW Australia, (). 11-13 July 2007.